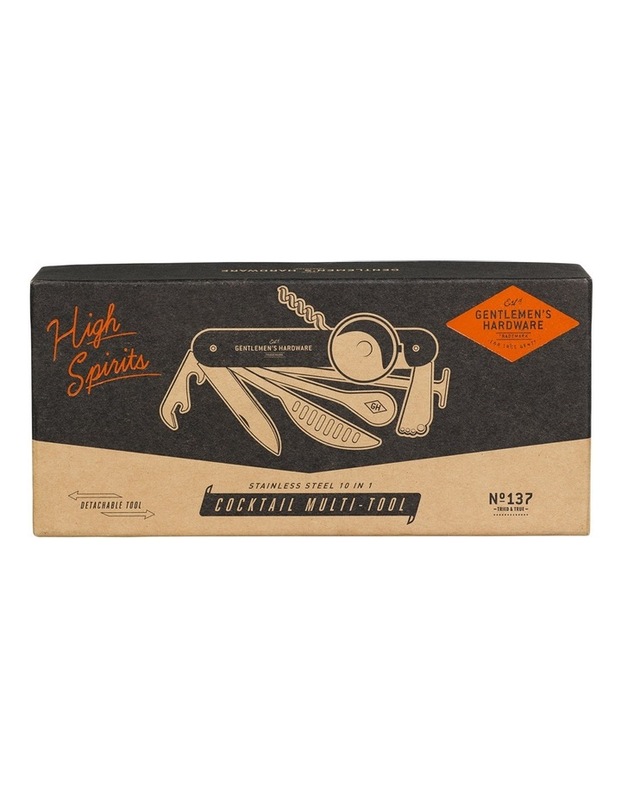 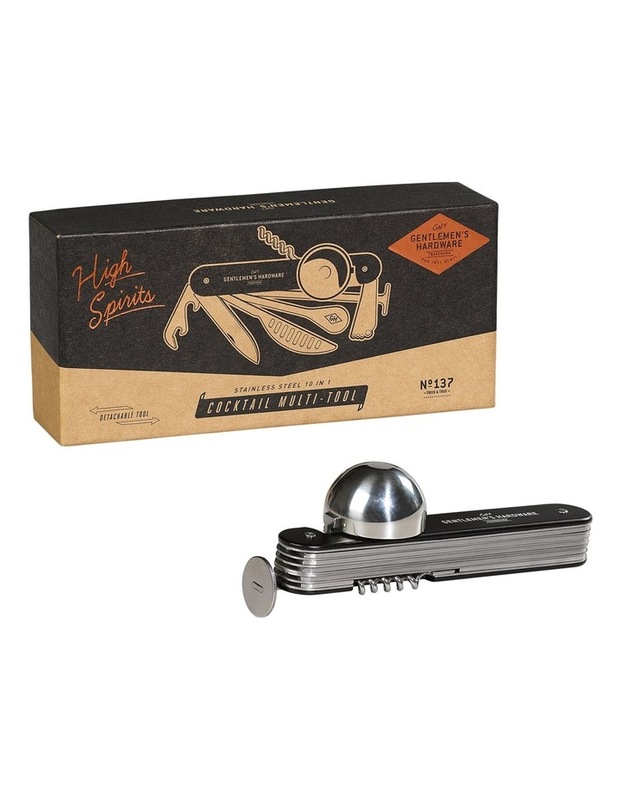 "Perfect your cocktail making skills with the Gentlemen's Hardware Cocktail Multi-Tool. 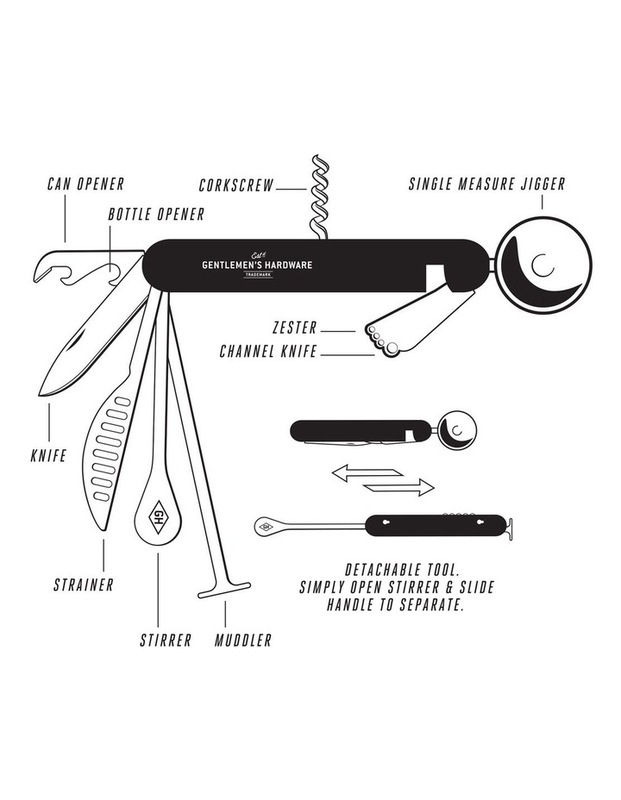 Featuring a muddler, bottle opener, knife, zester, stirrer, strainer, channel knife, single measure and corkscrew, the handy tool makes a unique and stylish gift, ideal for anyone who's ever wanted to try their hand at cocktail mastery. 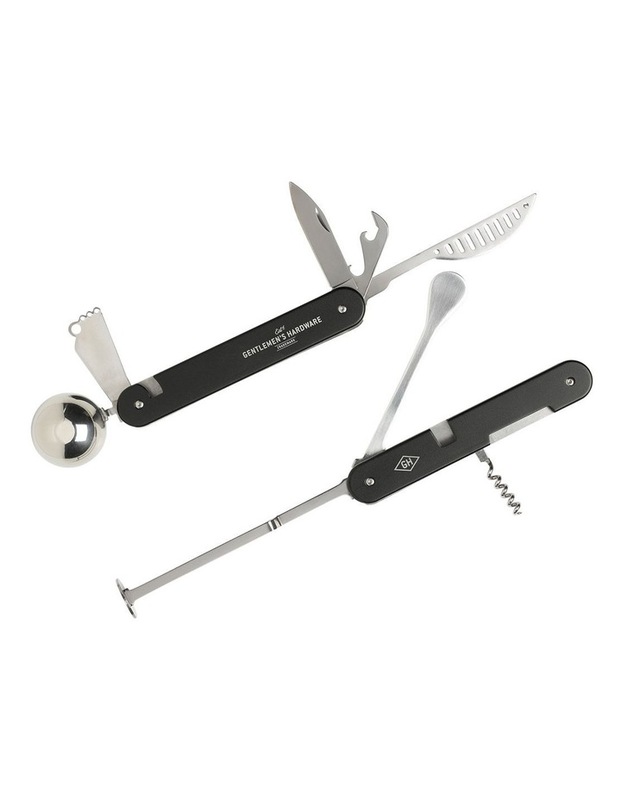 From mojitos to martinis, the 9-in-1 stainless steel tool is all you need to create the perfect tipple. 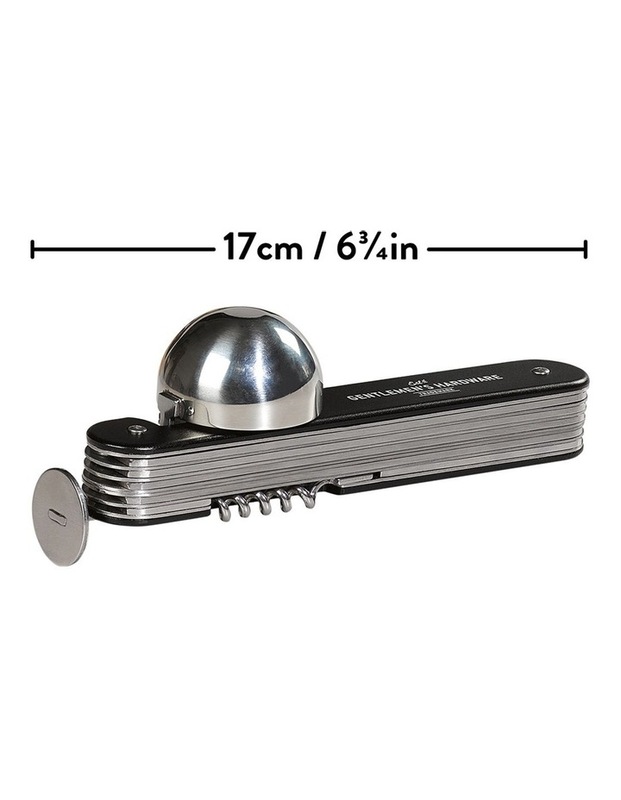 Size: 280 x 375 x 270mm"